1. Mariusz, can you tell the Eastern European BJJ community about yourself and your journey in bjj? Hi. I’m Mariusz Linke and I have a second degree black belt in BJJ. All of my belts I received from my master Jorge “Macaco” Patino. I’m a the head coach in Linke Gold Team. I started training judo in 1976 under the supervision of my coach Lech Morus. I took many medals in this olimpic discipline. I was in National Teams of Poland in juniors and seniors. I have now a 4th dan in judo and BJJ for me is the continuation of this way, because takedowns is very important in my game. In 2001 I had a white belt in BJJ and flew to Brazil, because I wanted get more experience in BJJ under the supervision of Macaco. My master examined me in every way, but perhaps the most important was my resistance to pain. In the last of my days there I received purple belt from Him, so I never got blue belt. I have many medals from the most important events in the world. 2. You always competed in MMA and BJJ at the same time. 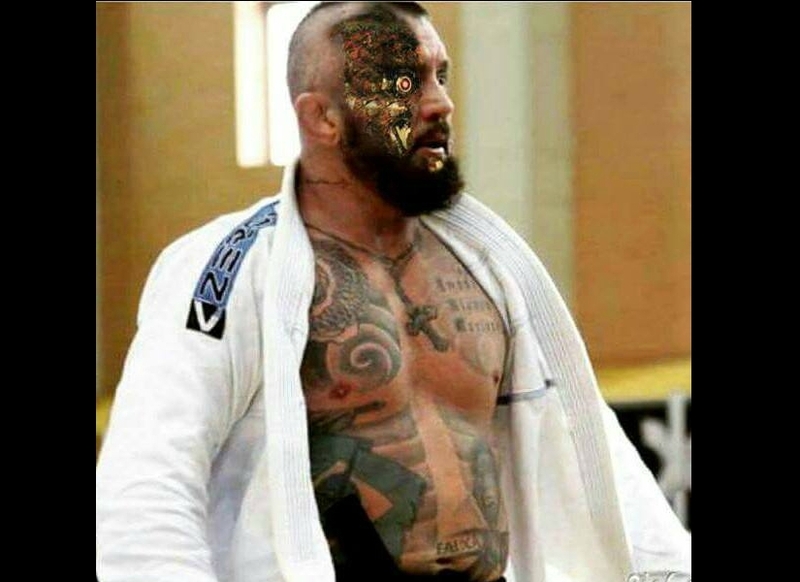 Do you think that for someone to really feel the effectiveness of BJJ, you have to train and fight MMA? This is an individual matter. BJJ is most important to me, and MMA is just an adventure and a desire to face the representatives of other styles. I’m glad to get out of the confrontation victorious but that is not always the case. 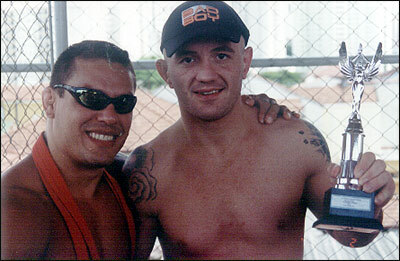 The fulfillment of my dreams was to fight in Brazil and against a member of the legendary Gracie family (Gregor Gracie). At the time when I started my adventure with bjj, I could only dream about these demonstrations. Well, if you dream of them sometimes they come true. 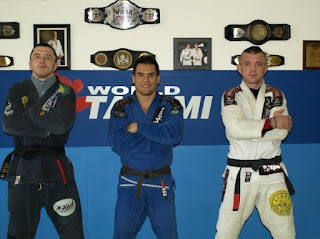 I think that the popularity of BJJ in Poland stems from its effectiveness. Many of the top BJJ fighters in MMA are ready to prove the effectiveness of the ground. 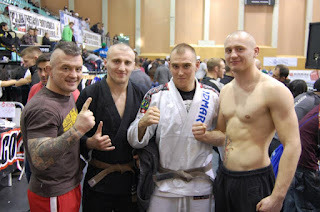 BJJ is of very good quality in Poland and I’m proud of my work. 4. Do you believe that we will one day see a Polish world Adult Black belt champion? I think the Trials for the World Pro in Abu Dhabi are already a serious competition in bjj so something like this already happened. But when it comes to Polish players appearing in the black belt in the adult category that even my gold medal at the European Championship IBJJF in Lisbon or the gold medal of my brother Maciej at CBJJE in the European Championships in Switzerland, confirmed that slowly we are catching up with the elite in the world because it’s a open contest and there also many BJJ players from Brazil. 5. Who are in your opinion the most promising bjj competitors in Poland, who might reach that goal? There are many players in Poland, ready to succeed in the world because I believe that bjj in our country is at a high level. I think the guys at this point, aged about 16 years for a few years will fight as well as the biggest stars of Brazil. Even now, they do not need to go anywhere because really all you need for development are in place here in Poland. 6. Can you tell us about Linke Gold Team and the large network of academies that you have built up? As I said Linke Gold Team is a subsidiary of Team founded by Jorge Patino Macaco and which throughout its range covers the whole world. I am an ambassador of Jiu Jitsu taught by Macaco and I hope that I’m good because I care most about that my master is proud and pleased with my work and achievements of my students. 7.Who are your best students and what have they achieved? I would not like anyone skip so I will not name names. At this time, with me and my brother there are 5 black belts and lots of browns. Most are competing in prestigious competitions and win medals in them. As a coach, I’m really happy looking at their achievements. I think so far our greatest achievements as a team is to get 3 seats in the master and the senior category at the European Open IBJJF in Lisbon and also we were in the team which won the team NAGA World Championships. I also have players with hopes of evolving in MMA and I hope that soon you’ll see me in the corner of my competitors fighting in the UFC. 8.In some countries, The BJJ scene has strong rivalries which can sometimes be very hostile. Is this the case in Poland? I think that Poland does not deviate from the trend especially since you can see this in local BJJ competitions and the fights for club affiliation. All that unites the team is good and if this happens to raise skills, a bit of aggression between the teams will not hurt. 9. What are your personal and team goals in bjj for 2015? As for me and my team the goal is one and unchangeable, that is, as always … winning everything this is where we start. The only problem are financial constraints, but I hope they will not disturb us in fulfilling our dreams. 10.Thank you Mariusz for taking time to answer our questions. All the best in 2015! Thank you to all lovers of BJJ for your time spent on reading this trip and would also like to thank my wife for the patience for my daily workouts and competing in competitions. I would also like to thank my Teacher Jorge Patino Macaco for the fact that he believes in me. I promise him to never disappoint. Macaco Gold Team and Linke Heeeeeyyyyyyyyyyyyyyyyyyy!